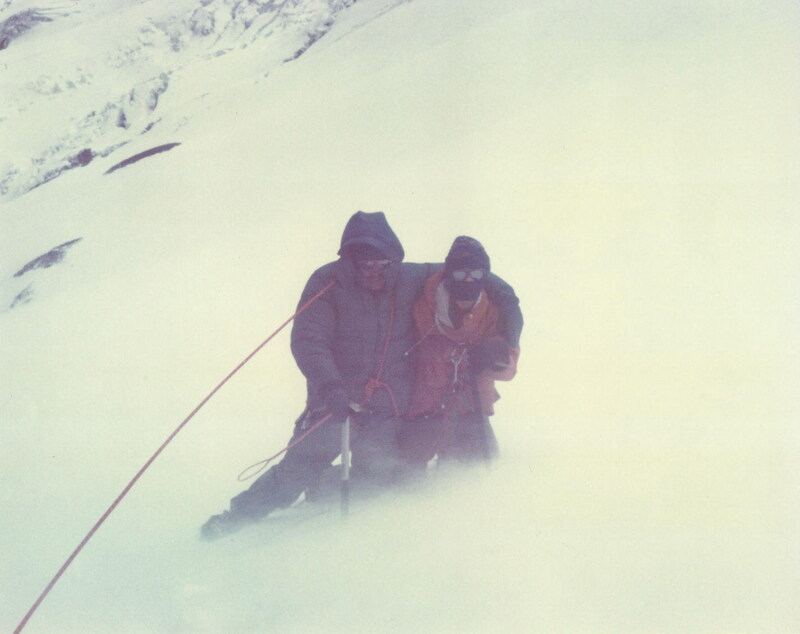 Alan Dudley (right) and our Venturer Leader and mountaineer, Gerry Butler (left), getting hammered by 60+ mph winds on Mount Baker (Washington State, USA). I’m the one at the other end of the rope taking the picture. Never let a little wind stop you from snapping a great picture, right? Alan and I were both Venturers and about 16 or 17 years old when I took this photo back in 1976 or ’77 (we had been in Scouts together since we were Cubs). After all these years, Alan and I are now back “sharing a rope” as Scouters with the 5th West Van “Mountaineer Scouts” leading a new generation of Scouts up into the mountains for all new adventures. We could use an extra leader or two….anyone want to join us? I can pretty much guarantee that it’s going to be a blast!